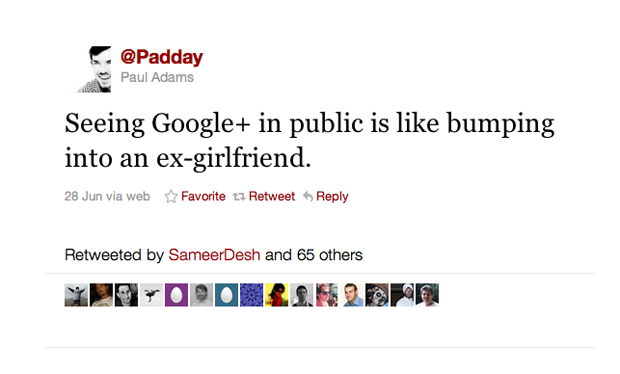 Paul Adams: Seeing Google+ In Public Is Like Bumping Into An Ex-Girlfriend. Ex-Google UX guy Paul Adams is perhaps most known for his slideshow “The Real Life Social Network,” which highlighted the perils of having one default group for sharing and emphasized that the ideal social networking service would be designed for multiple groups. The slideshow illustrated the flaws in Facebook’s lump sum friend model and called for a social network where users could set sharing levels to correspond to the 4-6 separate relationship groups that people tend to have. Sound familiar? Well, if this reminds you a little of Google+ Social Circles, its because Adams was a User Experience Researcher on Google social/Google+ until he left Google in December 2010. 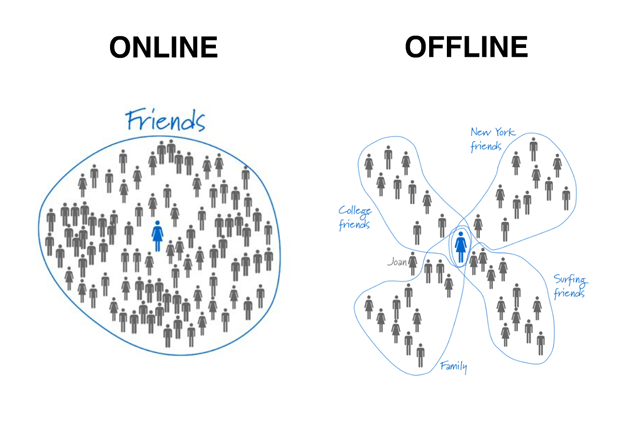 The first version of his famous “The Real Life Social Network” deck was published in April 2010, at least two months before the project started (with an even earlier version published two years ago). While designer Andy Hertzfeld and team have been lauded for the (granted) amazing design, it’s less discussed that Hertzfeld inherited the Circles model from Adams, and simply designed the front-end user experience for it. Poetically enough, Adams, who is now at Facebook, was asked by current Googler Chris Messina on Google+ what he thought about the service. He responded by elaborating on a tweet where he likened the experience of the Google+ launch to seeing an ex-girlfriend in public. Adams directed me to Facebook PR when asked for further comment on his opinion and involvement on Social Circles. I’m sure their response will be fascinating. While we wait, you can flip through the slideshow that started it all, below.